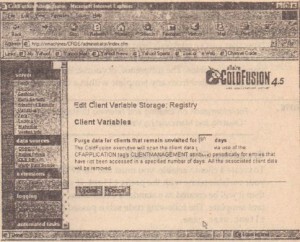 You can use the Cold Fusion Administrator to change the default storage mechanism for your client variables. 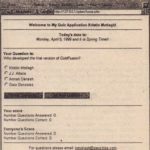 This change will indicate which storage mechanism is used for each application on the server unless otherwise specified within the App 1; cat; on. cfm template. 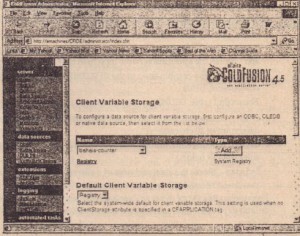 When you open the ColdFusion Administrator, select the Variables option under the Server section on the left-hand frame. 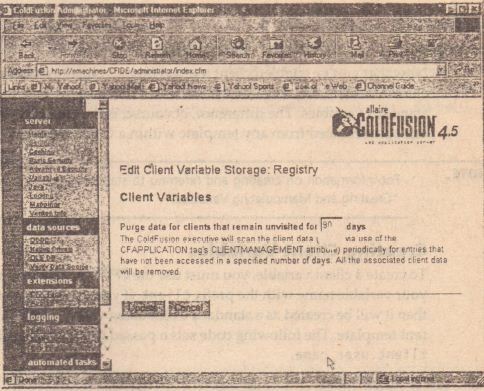 Before you can add a data source in this section, you must have already configured your data source in the Data Source section of the Coldfusion Administrator. After you configure your data source, it is available to you under the pull-down Name menu. Select the data source you wish to add for client storage, then select Add. Follow the instructions on the next screen to create the client storage data source. 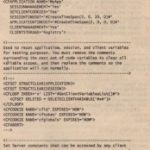 You should notice that Reg; stry is already available with a type of System Registry. If you select Registry , you will see a screen where you can modify the default expiration time period for client variables stored in the registry. The default is 90 days. The second section of the Variables screen is for setting the default storage mechanism for client variables. 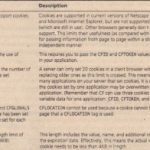 The two options available are registry and cookie. 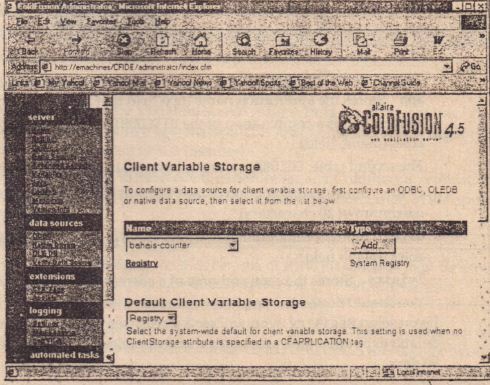 Registry is the default when ColdFusion is first installed. 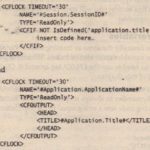 If Registry is chosen, then all client variables for any ColdFusion application on your server will be stored in the server registry unless otherwise stated ill the application’s CFAPPLlCATIONtag. 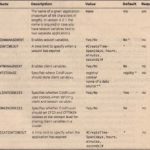 If you want to specify a data source as your client storage mechanism, you must have first added the data source under Client Variable Storage (described in the previous section). Then you can select the data source in the pull-down menu.